Steel Mart is the first of its kind. Steel Mart has branded steel retail stores across India that stock steel used for construction. 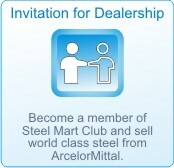 As authorised channel partner of ArcelorMittal Kryvih Rih, Steel Mart brings world class steel right to your doorstep. Steel Mart is fast. 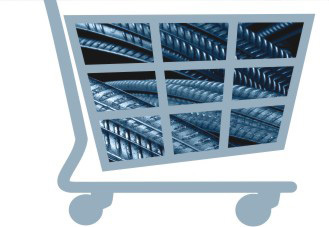 Through its main stockyards and regional stock points spread across major states in India, we supply ArcelorMittal 500D rebars to hundreds of steel retail outlets across India. Steel Mart is committed to fair trade practices and a long term win-win relationship with its partners and customers. Steel Mart promises to deliver value to partners and customers through world class products, transparency in business dealings and superior customer service.